Advanced Assembly partners with some of the nation’s leading printed circuit board fabrication houses to supply our customers with the highest quality bare boards. COPPER WEIGHTS .05 oz. to 10 oz. MINIMUM FINISHED HOLE SIZE .005″ min. If there is a specification not listed, please contact your sales representative to discuss your PCB fabrication requirements. Our days are filled with electronic devices of all sizes from cars and medical devices to smart phones, smart watches, and tablets. While most of these devices are expected to be efficient, and lightweight, they also have one more thing in common – each uses flexible circuit boards. Single-Sided Flexible Circuits – A single copper conductor layer on a flexible dielectric film. 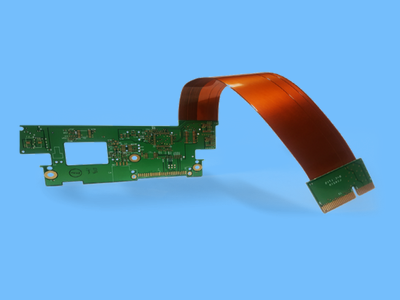 Double-Sided Flexible Circuits – Double-sided copper clad material with top and bottom cover films. The two conductive layers have an insulating layer between. 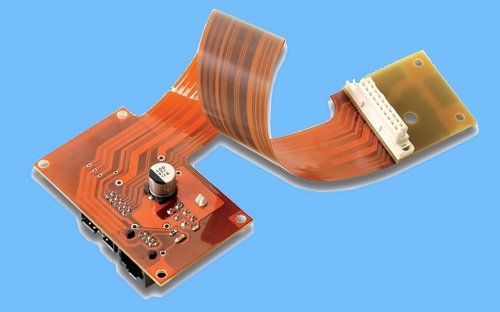 Multi-Layer Flexible Circuit Boards – A combination of single and/or double-sided flex circuits laminated with adhesive onto a single and/or double-sided material. Rigid Flex Circuits – Used to accommodate the entire conductor pattern of electric circuit within one component. Ordering flex is a bit more complex than ordering PCB assembly. Below is a list of file requirements. If you have any questions, please contact us and we will help with your order. Fabrication DWG: Need the detail information such as stiffener location and thickness, etc. Flex design can be complex. Get a free consultation with one of our experienced design engineers. Contact us to set up a call. Learn more about PCB fabrication with our online Printed Circuit Board Handbook.